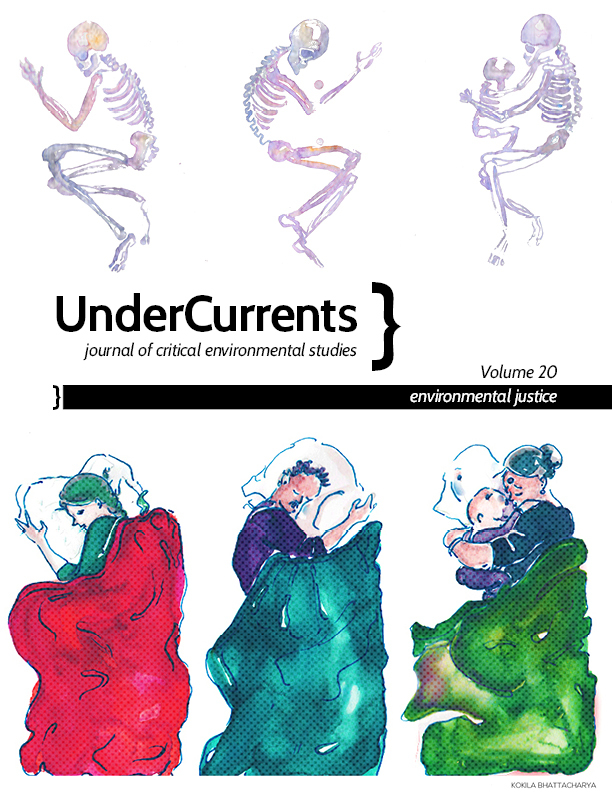 UnderCurrents is a collectively- and student-run journal based out of the Faculty of Environmental Studies at York University. UnderCurrents explores the relations of environment, culture and society, and publishes one thematic issue per year. We are committed to publishing a variety of scholarly, creative and activist work that critically engages with conceptions of the environment. Back issues are free to view online. New issues will be uploaded with the release of printed copies. Volumes 12, 15, 16, 17 and 18 are available for purchase in print. Contact us for details. UnderCurrents is honoured to present Rachel Small's spoken word poem "Lot Eight / Lote Ocho" as part of Vol. 20: Environmental Justice. Special thanks to Ruben Esguerra, audio engineer on the recording.